The name of Maine de Biran figures rarely in historical accounts of phenomenology. Whenever he does appear, commentators will usually present him as being mainly preoccupied with the task of reconciling the two main philosophical schools of his period — rationalism and empiricism (sensationalism). Such a view of Maine de Biran misses his main contribution to philosophy, that of presenting us with a new direction — a new direction which makes Maine de Biran into a sort of nineteenth-century Merleau-Ponty. It is true that by no stretch of definition could he be turned into a full-fledged phenomenologist. 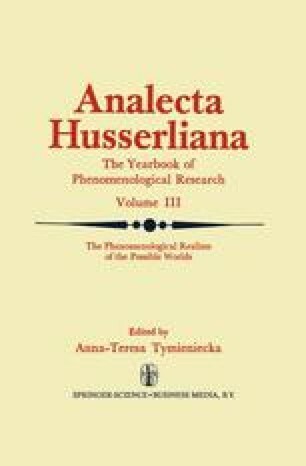 Nevertheless, it is possible to show that there is no other philosopher in the nineteenth century who has been as important as M. de Biran for the spread of phenomenology. In other words, with M. de Biran we are dealing with both a sensationalist ‘philosophe’ and a budding phenomenologist. His phenomenological approach — his new direction — becomes evident mainly in his analysis of sense-experience.